Tiki has become something special to me over the years. 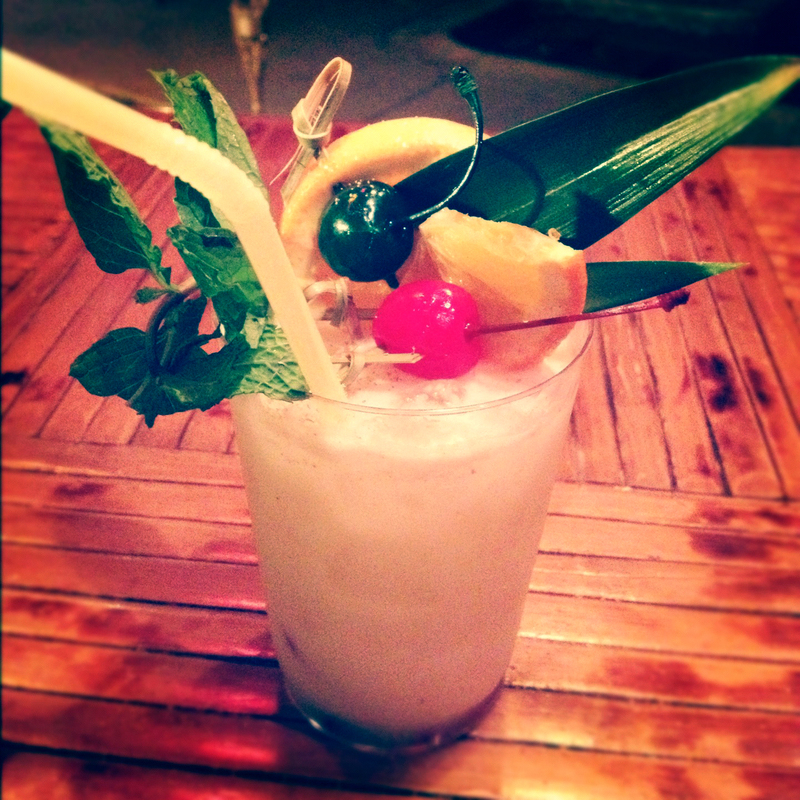 It is not just a kitschy party theme, type of cloyingly sweet drank, or dive bar category. Bizarrely enough it's filed alongside heavyweights like Christmas and New Year's as an important family tradition. Yes, my parents, sister and I do Tiki. And if I do say so myself, we do it damn well. 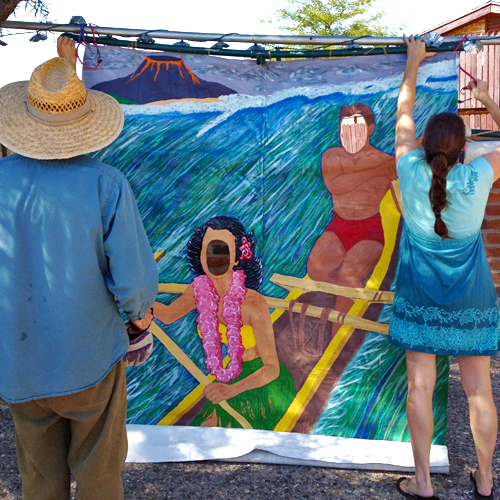 Initially, the end of summer Tiki Party at my parents' home in Tucson was a heavily-anticipated annual celebration. A break from large family gatherings brimming with kids ("we love your keikis, but this one is for adults"), and the rare party to really have a focus on drinking. 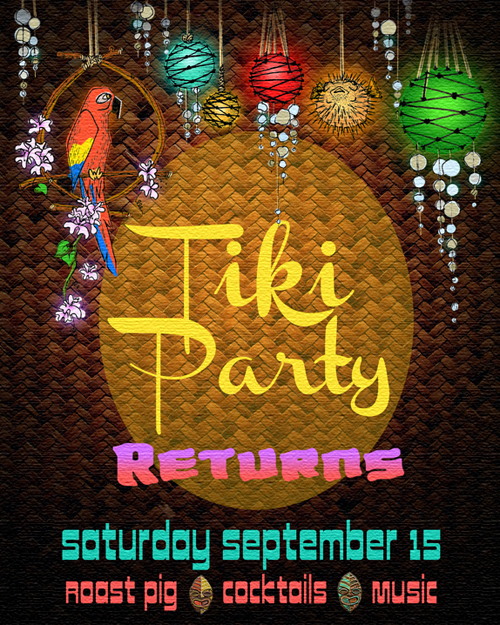 Since I was college-aged when the Tiki Party debuted, I was not only surprised by this, but fully on board! 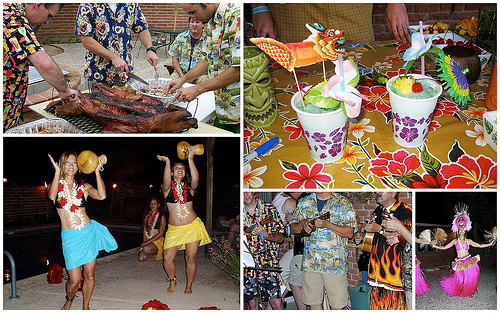 Each year seemed to one-up the prior, adding a pit-roasted whole pig, ukelele orchestra, and even tradition hula dancers in full garb. It was a fantastic tradition. Then one year the invite never went out. Then another year. 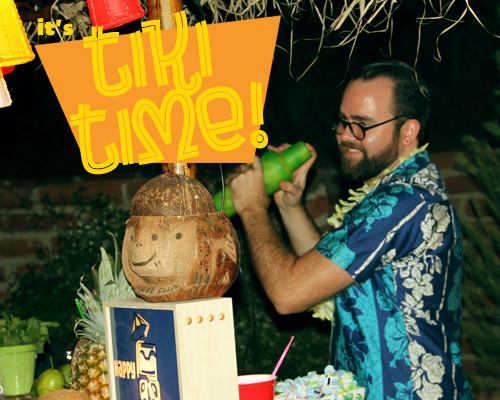 The masses were restless, when would there be another Tiki Party? 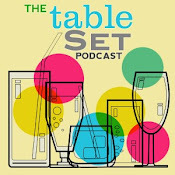 I tried to sate myself in California with regular visits to Tiki Ti, Tonga Room, Trader Sam's and with a big fat Tiki episode on my podcast The Table Set, but it wasn't enough. Once I found out my sister Megan missed it as much as me we conspired to convince my parents by any means necessary to bring it back. Then this year... we finally succeeded. It's always a whirlwind driving home to Arizona and jumping in to the preparations. It's also always startling opening the fridge in the garage to see Laura Palmer as a pig, awaiting the sacrificial pyre. Day of, first thing's first - Get that pig going. It takes all afternoon to get a proper tender slow-cooked Kalua-style pig. The photo opp murals Megan painted are always a hit. And while the tables are set, I have my hands full with another task. Shocking, I know - I manage the bar. With the addition of the bamboo tiki hut-style bar this year, things got serious. Selecting a menu is hardly an easy task. Each year we debate, recounting drink popularity from the previous parties. The true Mai Tai is our collective favorite, but seems to be too boozy for our guests, as we always have the most leftover of it. 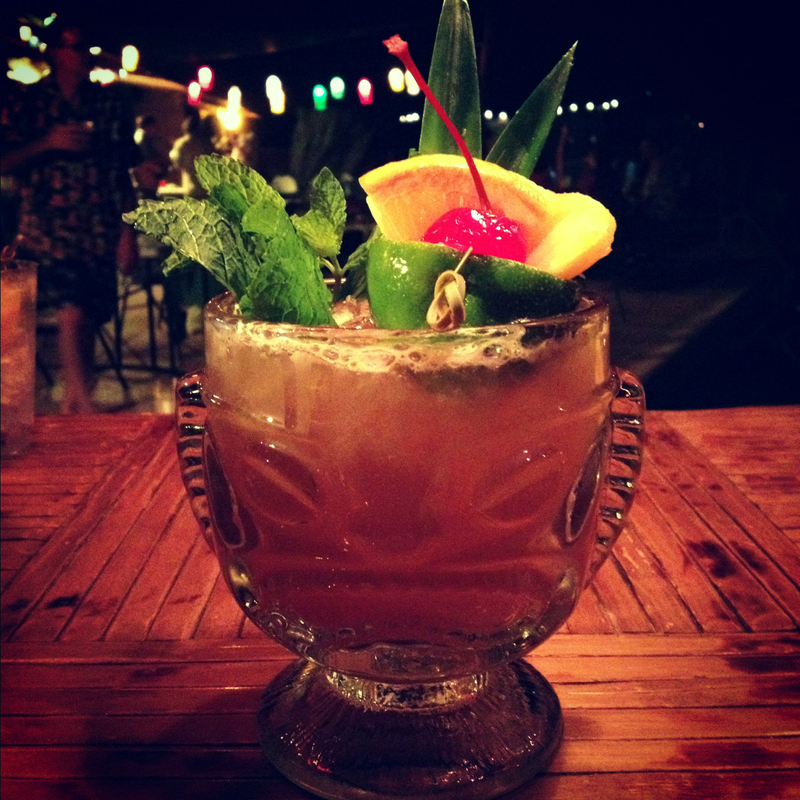 The Blue Hawaiian is garish, but always a winner. We pre-mix everything in large batches as well, so the recipe has to work in that format - and some ingredients, such as bitters, intensify over time. This year I decided to select all new drinks; Classics that cover very different flavor profiles as well as liquor variety. No need to be rum snobs - It's just not for everybody. 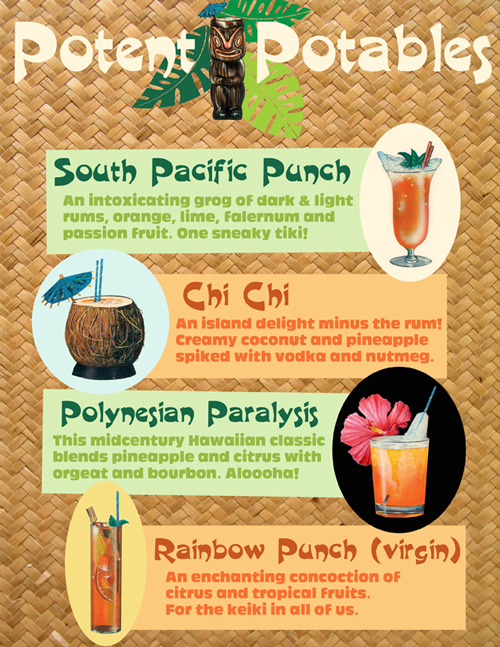 In lieu of the signature Mai Tai I went out on a limb with South Pacific Punch, a potent blend of dark and light rums, fresh orange and lime juices, Falernum and passion fruit syrup. 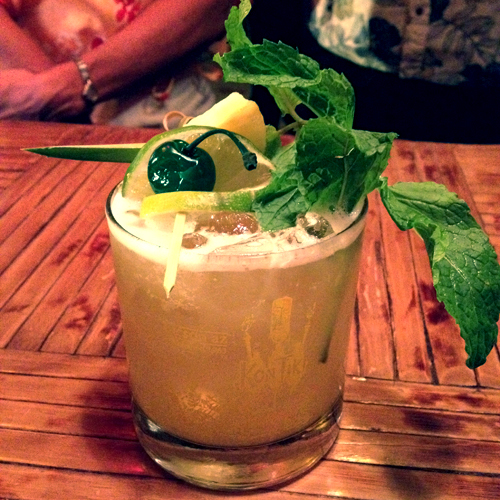 Not for the faint of heart, I think the profile of the spicy Falernum is what set this drink apart. 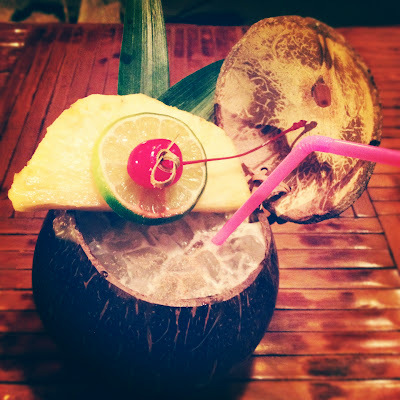 To satisfy the sweet drink lovers, instead of a neon blue concoction (I just can't get down with Blue Curaçao) I opted for the popular Chi Chi, a vodka-based riff on the Piña Colada with coconut cream, pineapple juice and a dust of nutmeg. Sometimes simplicity is best. For the first time we introduced a bourbon-based tiki drink, which turned out to be the crowd favorite, the ominous-sounding Polynesian Paralysis. Akin to a Hawaiian-style Mai Tai, this one blends pineapple and citrus juices with orgeat, which marry nicely with the bourbon for a dangerously smooth sipper. We always try to think of creative ways to keep designated drivers and non-drinkers in on the fun, and this year hibiscus lemonade and tropical iced tea just wasn't going to cut it, so I whipped up a non-alcoholic tiki classic Rainbow Punch. Here pineapple, orange, and lime juices are blended with grenadine, soda, and bitters for a well-disguised virgin. It was an exhausting night of shaking drinks, so I was happy to have some relief long enough to get in on the Kalua pig and Polynesian potluck before it was all gone. Perlana, one of the "best dressed" winners enjoys a Chi Chi. Yes, no matter how much math and careful planning goes into our batch drink making, we always over-do it and have SO much leftover. 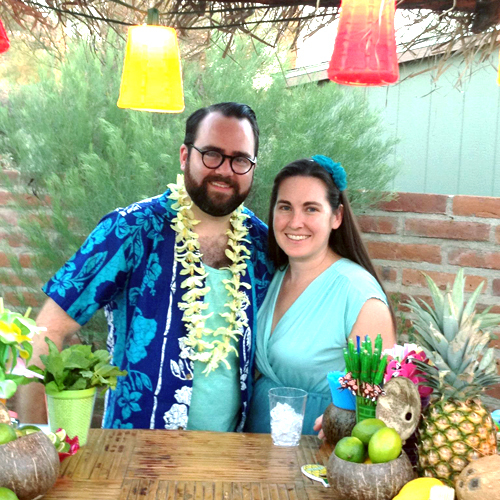 Not a huge complaint, but it suffices to say that Tiki Party turns into Tucson Tiki WEEK. Aw well, maybe we'll get it right next year... Oh yes, there will be a next year. 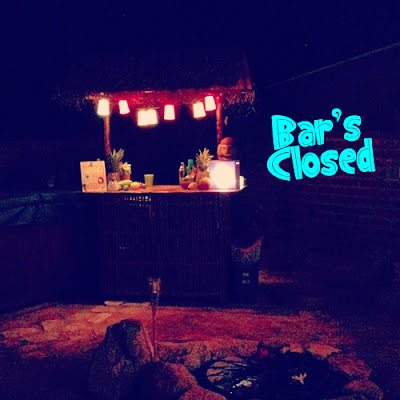 Love this post (and many others), but this helped me re-live that fun night of hanging with the family, with the already beautiful backyard transformed into a tiki paradise, great food and AWESOME drinks! Love it, Nathan-brah! Our year is booking up so we'd better get the 2013 date on the calendar.